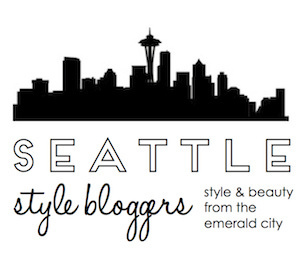 I recently attended Stylish in Seattle, the first ever Seattle fashion blogger summit! It was a gorgeous day in Seattle and the perfect opportunity to wear this thrifted Zara dress I found at Seattle Goodwill's Capitol Hill store. 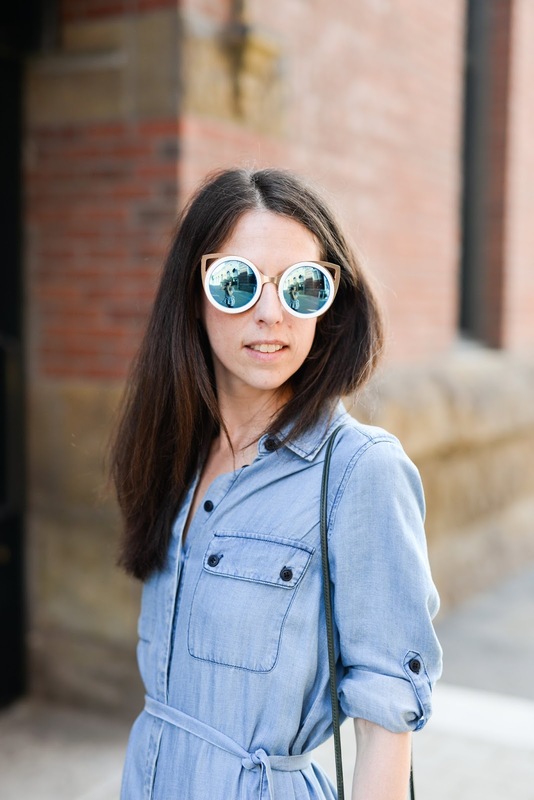 (yes, I wore thrifted to a fashion blogger conference!) When I saw this dress on the rack at Goodwill I had a little Zaragasm, so I knew it would be perfect. The Capitol Hill neighborhood Goodwill store is one of my favorite places to thrift in Seattle. Partly because we used to live in a loft just 2 blocks away (miss that neighborhood so much sometimes! ), but mostly because it seriously has the best finds! My first visit to the Capitol Hill Seattle Goodwill had me walking away with an Isabel Marant dress, Chloe sunglasses, and vintage Levis, hello thrifting heaven! I just love the assymetry and gorgeous print of this Zara dress. It's the perfect little dress for dressing up for a date night with loads of jewelry, pairing with a blazer and pumps for work, wearing in the summer with sandals, or, as I recently chose, attending a fashionable blogger conference! For Stylish in Seattle, I paired this Zara dress perfection with my favorite Clare V. Clutch to hold the day's essentials (cell phone, note pad, pen, lip gloss, etc . . .) Moorea Seal Aerin Sunnies, black pumps that are oh so comfy from Banana Republic and my latest necklace from Rocksbox (interested in trying Rocksbox? use code storyofmydressxoxo and get your first month free!). 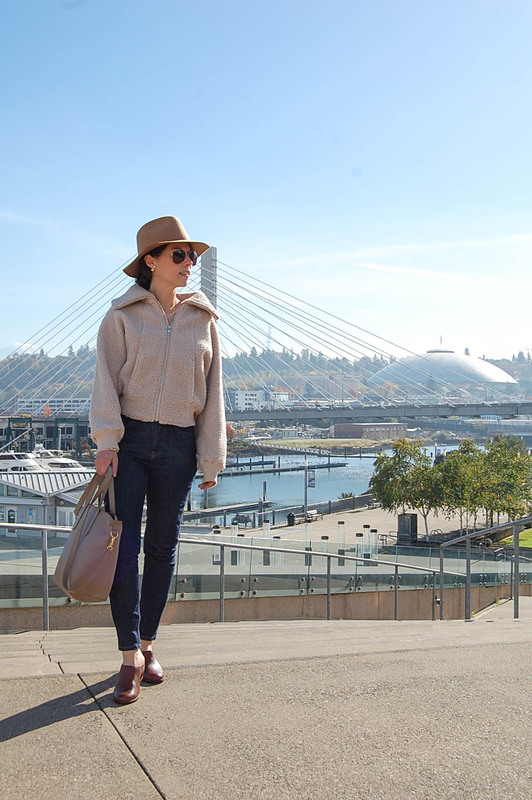 I felt both stylish and comfortable, which I deem a successful outfit and of course Stylish in Seattle! Where are your favorite thrifting spots?